If you love to knit, you have probably at one stage or another considered purchasing a home knitting machine. Owning a knitting machine is awesome as it allows you to churn out garments in no time at all and thus saves you loads of time. If you are knitting for profit, then owning a knitting machine makes a lot of sense as you can make items a lot quicker than you would do if you were knitting by hand. If you knit for your family, then a knitting machine is the way to go, as there are just so many knitting machine patterns and designs that you can experiment with on a machine that you will never get bored. On the other hand, there are knitters who prefer to knit by hand as they enjoy the calming and soothing effects that it has on them, and the feel of the wool sliding through their fingers. In fact of know quite a few knitters who far prefer knitting by hand than by machine. Knitting with a machine is very mechanical and knitting by hand is very soothing. When I was growing up my Mom used to own an Empisal Home Knitting Machine. This is very similar to the Silver Reed Knitting machines of today. I inherited the machine from her but could never master it as she had. Then I purchased an incredible sweater machine and churned out baby wear on a daily basis which sold like hot cakes. I highly recommend starting on a low-end machine before investing in the more expensive models. In this way, you can get a feel for machine knitting first before making a huge investment. My full-time job then got too busy and I ended up selling the home knitting machine as I was hardly using it anymore. I am now in the process of ordering an Addi Express Knitting Machine, but I do enjoy hand knitting, as I can do it while waiting for my child to finish dance class and in front of the TV while watching the news. What Type Of Knitting Machine Is Best For Me? There are many different types of knitting machines on the market today, and here I would like to tell you about a few of them. 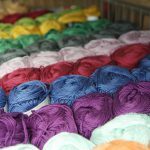 Why do I need a knitting machine – leisure or to knit for profit? What types of things do I want to knit? Do you want an easy to operate machine, or one that has a learning curve and takes more time to master? Does the machine of your choice have readily available spare parts? Have you tried out the machine of your choice? If you can’t get to try out the machine of your choice, make sure you get to read some reviews online before you purchase it. What types of wool do you like to knit with? If your machine requires the use of a computer, do you own one? How much space do you have to allocate for your machine? There is nothing worse than having to pack it out each time you want to use it. You will need a space of about 4 feet wide by 2 feet deep. It is also a good idea to purchase a knitting machine table for your knitter to stand on. Before you buy a knitting machine, it is important that you know the basic knitting stitches and how to knit them by hand first. Here are some of the most popular home knitting machines on the market at the moment. The first three knitting machines listed are great for beginners. The Addi range of Knitting Machines has grown steadily in popularity since their introduction. Then came the Addi Express, which is a handy little version of its larger counterpart. These machines are easy to use and work well with circular knitted items. They don’t take up much space and are thus easy to store. The Addi Knitting Machines work just like Knitting with a Loom, but on a faster scale. Dropped stitches are a breeze to fix, and you can whip up a beautiful beanie or scarf in about half an hour. You can read more about the Addi Knitting Machine Range here. There are two models on the market at the moment – The Addi Express King Size Knitting Machine and the Addi Express Knitting Machine. Both are great buys and the large one is great for making larger items and blankets, while the small one is better for smaller items like hats. There are many tutorials and online video’s available for this handy little knitting machine, as well as some really creative knitting machine patterns. Bond is responsible for creating the very popular Incredible Sweater Machine. This is the machine I used to own. It is super simple to operate, and you can churn out children’s clothes in a couple of hours. A full sized sweater or afghan can be made in about 4 to 5 hours. This knitting machine knits from 600 to 1 200 stitches per minute – this is equal to 6 to 12 rows per minute with 100 stitches per row. This machine can knit many fancy stitches, including intarsia, fair isle, lace, ribbing, tuck stitch and many more. It has 100 needles which can do a 52″ circumference sweater. If you want more stitches, simply purchase an extension kit. It comes with 4 keyplate sizes so than you can match knitting needle sizes from 6 to 10. The Bond Knitting Machine works best with chunky yarn. Although it’s best to have some knitting knowledge, a beginner knitter would be able to operate this machine. The Bond Incredible Sweater Machine comes with a limited lifetime warranty. Here are some interesting opinions that you can read on the Bond Knitting Machine. You can find out more about the Incredible Sweater Machine Right Here. The Singer Knitting Machine is aimed more at children from the age of 8 years old and up. It is a fun way to get children interested in the art of knitting, and the process is made easy for them. It is like a mini version of the Addi Knitting Machine. It has 22 needles and is perfect for knitting beginner projects like hats, leg warmers, and scarves. You can read more about the Singer Knitting Machine by clicking here. The Brother Knitting Machine has a more upmarket range of knitting machines, and they make many different professional machines for the advanced knitter, as well as industrial machines. A lot of the Brother Knitting Machine Models will require a computer for design work. If find them tricky to come by, and have only recently discovered that they have stopped making new machines. 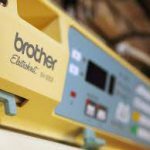 You can find out more about Brother Knitting Machines here. The Silver Reed Knitting Machine is a great option if you can’t afford the Brother Knitting Machine. You will find all the great features that any other professional home knitting machine has to offer. This machine has a 24 stitch punch card pattern center that you can create beautiful tuck, weaving, slip and fair isle stitch patterns. It has 200 needles on a stainless steel bed and is a single bed knitting machine. Singer and Empisal Machines are also made by this manufacturer. 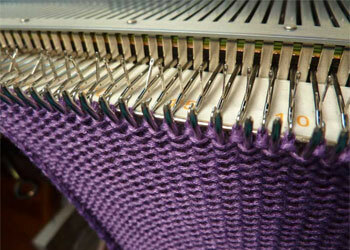 You can read up more about the Silver Reed Knitting Machine here. Nowadays there are fewer stores that sell knitting machines than online places that you can order one on. If you Google knitting machine, you will get hundreds of results from places that you can buy them, but make sure to do your homework first. Luckily nowadays there are a lot of home knitting machine tutorials and knitting machine videos that we can follow online. I have no idea how we managed without the internet in the past. Thank goodness for You Tube, as you can find out just about how to do anything there. How To Use Your Knitting Machine Instructions are also just a finger click away. Even if you have an older model, you will find instructions to download on Google. Here are some great Knitting Machine tips that I hope will help you on your knitting journey at some point. Although it’s a boring job, always knit a tension square or swatch in the exact wool that you plan to knit your garment in. Knit at least 10cm x 10 cm in the exact pattern that you will be knitting your finished garment in. It may seem like a waste of time, but at least you will be sure to knit the correct size. Don’t rush to measure your swatch as soon as you’ve knitted it. Wait at least 2 hours to let the yarn ‘rest’ or, better still, wash your swatch in the same way you would wash your garment. Block it out carefully whilst damp, taking care not to stretch it, then measure it when dry. Why not jazz up your plain knitting with some embroidery stitches. This can turn a plain sweater into a unique masterpiece. You can grab some embroidery ideas and how to do different embroidery stitches here. Use a tapestry needle here with a contrasting colored yarn for more effect. Make sure to oil your knitting machine regularly. This ensures that the carriage moves smoothly along the bed of the machine. Take the time to de-fuzz your machine. Use a small brush to brush out all the fluffy wool bits from all the crevices. Taking a vacuum cleaner and sucking out the fuzz also works well. 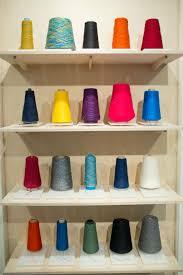 Yarn on a cone is better for machine knitting, as it has been waxed and feeds easily off the cone. If you buy yarn in balls, make sure to pre-wind it for a smoother knitting experience. Coned yarn is also a lot more economical than balls of yarn. You also won’t need to change the yarn quite so often if it is on a cone. If you are a beginner or still getting used to your knitting machine, avoid cotton yarn, fuzzy yarn, bumpy yarn, and chenille yarn. To avoid endless frustration, rather go for the plain stuff. Never push your carriage too fast. This is a sure way to loose stitches or make your knitting uneven. Also if you have a jam, you could damage your carriage if pushing it too fast into the jam. Did you know that most of your basic knitting patterns can be converted into machine knitting patterns? The biggest visible difference on basic knitting machine patterns is that instead of seeing a needle size required to meet the gauge, you’ll see a needle range. For example, instead of seeing instructions to use size 8 knitting needles, you’ll see instructions to use a mid-range knitting machine with a setting for your stitch dial. To use your hand knit patterns for your knitting machine, the process is pretty simple. Like with any new hobby, it is best to start with simple projects such as washcloths, scarves, or simple wraps. Your knitting machine manual will have the conversion for the size knitting needle to the gauge you must use. Basic stocking stitch knitting patterns work best. For fancy patterns and cabling, it is better to use a machine knit pattern. If you find your carriage is jamming, it means that your tension is too tight and you will need to adjust the feed of your knitting yarn to sort this problem. Start on the loosest tension, and then tighten it as necessary. The machine could also maybe do with a good oiling. If your knitting is jumping off your needles it may be that your sponge is worn out. Otherwise, it is tension or using the wrong type of yarn to the stitch that you are using. There is not a simple fix here, just trial and error. Check your yarn before you buy it. For machine knitting, it is best to buy yarn that is not too loosely twisted. If the yarn is not twisted tightly enough, then the needles on the machine won’t be able to pick up the whole strand thus leaving gaps or loops in your knitting. Also, pull on the yarn. If it snaps to easily, it will be very frustrating to knit with on a machine. If you are purchasing a knitting machine second hand, get the seller to use the knitting machine in front of you so that you can see that it is in good working order. Or you could ask them for photo’s or video’s of the machine in action. If you are purchasing an old machine, make sure that there are still parts and accessories available for it online. So Why A Knitting Machine? So as you may have gathered by now, machine knitting is a great way to produce knits quickly in the comfort of your own home. You can make up a bunch of scarves as Christmas gifts, winter knits for your family or even start up your own knitting business. A knitting machine is the way to go if you want to produce quality items quickly and easily. 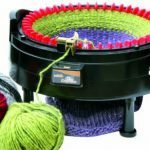 Addi Knitting Machine – Review Before You Buy! Next Post SSK Knitting – What Is (SSK KNITTING) and how to do it? I love the idea of owning a knitting machine! I do a lot of knitting for my family and the Addi Machine sounds perfect for my needs. I will check that out for sure. I love the fact that I would be able to make items so much faster, and then I could start selling to everyone who wants to always buy my stuff! I never have the time to keep up, but now I will. SO glad I came across your post! Thanks Amy, I am sure you will find you will be able to churn those items out a lot faster with a machine. Let me know how it goes with your new knitting machine. Your website is very informative about knitting and the benefits of it. Your articles are very thorough and helpful for someone that would be looking into knitting. The only thing I would do different is add a couple more photos, maybe of the certain knitting machines, would help the overall look. Thanks for the feedback Tyler, but do you know how hard it is to find photo’s of knitting machines that you can use? Unless you have your own to photograph, it is difficult, but will keep working on that aspect. First of all, yay to yarny crafts!!! I’m a big fan of crafts involving yarn, and I’ve always aspired to knitting and crocheting stuff for my nearest and dearest (never though for profit), as a mere single-size blanket takes me on average, 3 years to complete, sigh. I know people use knitting machines, but why on earth that never ever crossed my mind to do – that I could buy a machine to knit – I have no idea! So yeah, fabulous post, will definitely add a knitting machine to my wishlist now! Knitting with a machine is great, but it is definitely not as tactile as knitting by hand. If you want a great stress reliever for the end of the day, try knitting by hand. If you want to make a profit from knitting, then a knitting machine is the way to go for sure. Thanks for the comment Jacquie. Thanks for stopping by Mike and will definitely look at doing that. 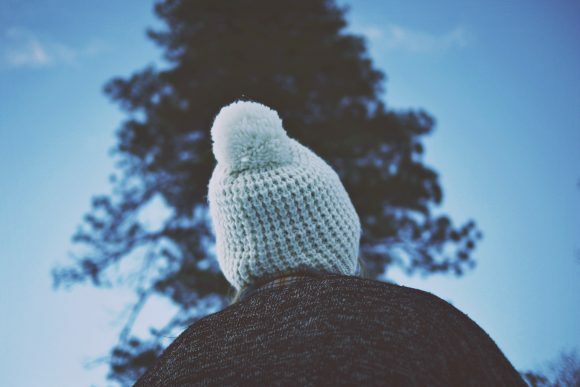 Thanks for sharing this post on knitting machines, I`m personally not a keen knitter but my mum knitted us lovely everything when I was growing up, the excitement putting on a warm cap in the winter months knowing mommy made it with her own hands, the pride showing it to my mates! Now after many years, my mom need a new machine, that`s what got me to your site, looking for a good and affordable knitting machine. As you mentioned in your post, there are not many stores out there that sell knitting machines, but I guess this is because the machines last for a long time if taken care of. Now the only machine I know is Singer, as said,we are not looking to spend a lot on the new machine, I know you mentioned different machines, which one in your opinion is the best quality on the lower price range? By that I mean also considering spares one may need over time. The most cost effective is definitely the Addi range, but there are limits to what you can knit on these. If she wants a professional machine that does it all, Silver Reed is a great buy, and of course the Brother range is great, but very expensive. Otherwise the Bond Sweater Machine is great value for money and is really easy to use. All of these machines have spares readily available, and due to their popularity at the moment, probably will have for a long time to come. I didn’t even realize they made knitting machines. My aunt taught me how to knit when I was a little girl. She always knitted by hand though she never had a machine. She used to make beautiful things. I still prefer knitted slippers to the conventional store bought ones. Do these machines take up a lot of space in the home? It all depends on which knitting machine you are talking about. A Silver Reed for instance would take up more space than an Addi Knitting Machine, as you would need it set up on a table, whereas the Addi can be packed away into a cupboard. Most conventional knitting machines are long and thin, but it is easier to keep them set out on a table at all times for ease of use so that you don’t need to reassemble each time you want to use it. So it would take as much space at the table does to answer your question. I liked your post because it’s very informative even though I’m not a knitter, however, my grandmother did teach me to crochet and I did that for a little while because I liked it. Never told the guys cuz I would be made fun of but I don’t care now. Lol! I just wondering though if you put pictures of the actual machines within the description would be good because it would show people what to look for if they were to get one? Just a suggestion but I don’t really know if you want to do that. Thanks for your comment Eric and am busy trying to get pics, but is tricky since they are not easy to come by and some of the knitting machines I don’t own myself. With some of the modern knitting machines now days, it is as simple as putting a card in and the pattern is automatically knitted for you. I know a few people making a living doing this, and if you can come up with something unique that catches on, you can become even more successful. I have been looking into knitting machines lately. I want to knit for profit was thinking of going to a nearby flea market (in LA its pretty pricey you can charge a decent amount) I currently hand knit and have sold some of my things but it takes forever. What do you think about the atrisan jbl knitting machines? I haven’t been able to find a lot of reviews on them. Also I can’t find a lot of information on knitting machines for sell it’s very rare. Many were handed down or the sellers have no idea how to use them, if they work or if there are any peices missing. Can you point me in the direction of how to find a good one? To tell you the truth Tasha, I don’t know much about the artisan bbl knitting machines at all. You are right it is difficult to find information online. I wouldn’t buy a second hand one unless you can see it in action, as more often than not the bed or the needles are damaged and it costs a lot to repair. Buy the best you can afford if you want to churn out those garments. The Silver Reed is not too badly priced and it is the closest to the high level knitting machines that I have come across. If you can afford the Brother is about the most versatile as far as fancy vogue knitting goes. I would not consider buying a brother electronic knitting machine as they have not made any machines since the late 90s(they dropped out of knitting machine market after a major fire at their factory) therefore you are forced to buy aged electronics(30yrs old at least). Repairs for those machines are hard come by and very expensive. Silver reed are the only knitting machine company still manufacturing knitting machines and have new electronic machines….there are companies like taxima and artisan that make brother clones(punchcard only no electronics) but quality is debatable. If your buying a punchcard machine then second-hand is feasible as long as you check that the machine is in good condition, has all the accessories it should have and the manual…..plenty of brother spares available second-hand on the likes of eBay. I own both brother and silver reed aka studio, singer and knitmaster and dues to advances in technology and manufacture since the 90s silver reed is the superior machine. You are quite correct Sarah. Although Brother seems fancier, they are difficult to get at the moment. I didn’t realize that they haven’t made new models since the ninety’s. The Silver Reed knitting machine seems to be a great choice, and it is very similar to the Empisal (although I don’t think they produce new machines either anymore), although slightly more modern. Before you buy a knitting machine it is best to know exactly what you want to do on the machine and what you need it to make. If you have never owned a knitting machine, then you can’t go wrong by starting on one of the small cheaper models. Silver reed, empisal, studio, knitmaster and the singer* flat bed metal knitting machines are all made by silver reed…..they are rebadged for different countries. Btw. Bond have been gone for a while too….accessories even used are hard to get and are often overpriced. The only new plastic bed hobby machines are the silver reed lk150, they’re easier to use than the bond. *Singer double bed machines are made by superb. We still get bond here. And of course, the Addi is also still very popular. Thanks for your input. You certainly do have a good knowledge of these things. I think your looking at old new stock concerning the bond, sorry to be the bearer of bad news. That’s a big pity, as I loved my Bond. Great article. I just bought a Bond ISM off Ebay and messed with it briefly tonight after work. I tried messing with it anyway. The first needle in the working position kept catching on the small holes at the front of the carriage. It did this whether I was trying to knit with yarn or just testing the needles through the carriage. I couldn’t get past this problem to be able to cast on stitches. Any idea what I’m doing wrong? It could be that the needle in question is bent. Try buying a replacement needle or even swapping with another needle on the machine to see if this is the problem. This happens often when you buy a used machine. Inevitably you need to buy new needles as some will be out of shape.